Until the 1980s betting on horses was one of only two significant forms of gambling in New Zealand (the other being lotteries). In 1910 bookmakers were made illegal, but on-course betting using the totalisator remained. 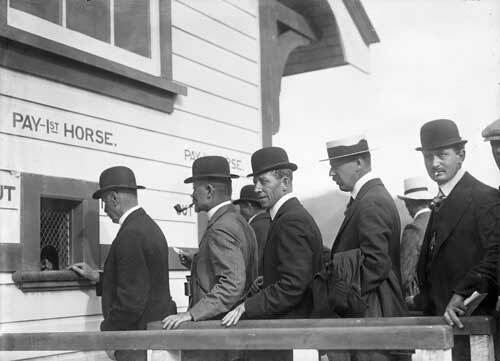 Here men queue to place their bets at Trentham racecourse soon after the change.